There cannot be a more serious responsibility than taking care of children and Echo Hill Camp's staff is the foundation of the summer camp program. Our culturally diverse staff represent carefully selected candidates from across the country and around the world who have been recruited for their experience, skills, character, leadership, and affinity toward working with kids. Echo Hill Camp's resident staff also include a registered nurse, assistant directors and an associate director. Approximately 70% of our staff return from year to year and many of our staff grew up at camp!! No matter where our counselors come from, all of them are passionate about working with children. Camp is a very special place that enables kids to take safe risks and discover a great deal about themselves. Fostering interpersonal relationships and supporting campers’ personal growth are paramount and these tasks could not be accomplished without a compassionate and dedicated staff. 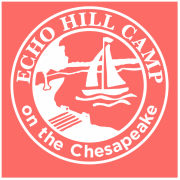 Echo Hill Camp offers a great place for kids, and an ideal work experience and the majority of our staff either grew up through the our program or have worked at camp for several seasons. All staff undergo a comprehensive hiring process which includes an application, interviews, references, and a comprehensive background check. Echo Hill's hiring procedures are established by local, state, and federal regulations, and our accreditation is based on the highest standards developed by the camping industry.